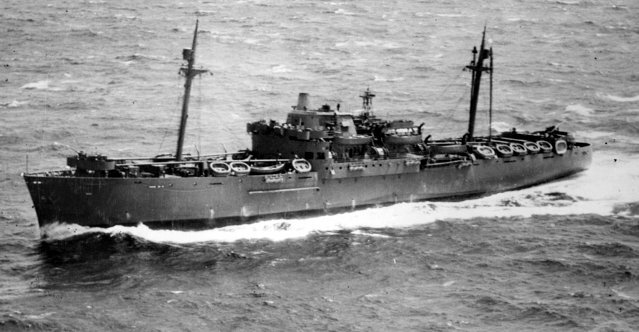 Laid down, 26 March 1941, as SS Alcoa Courier, a Maritime Commission type (C2-S1-A1) hull, under Maritime Commission contract (MC hull 175), at Moore Dry Dock Co., Oakland, CA. 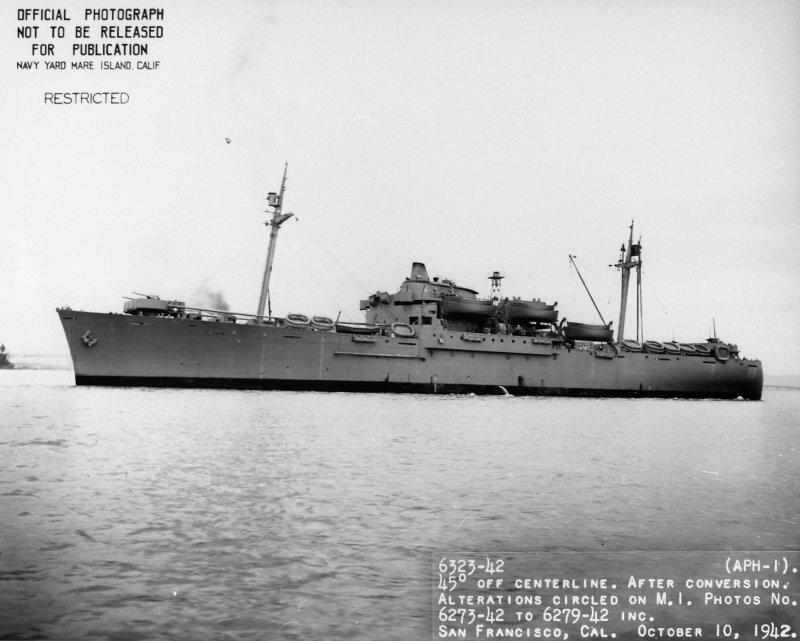 Decommissioned, 20 March 1946, at Seattle, WA. Converted to a troop transport at Todd Shipyard, Seattle, WA. 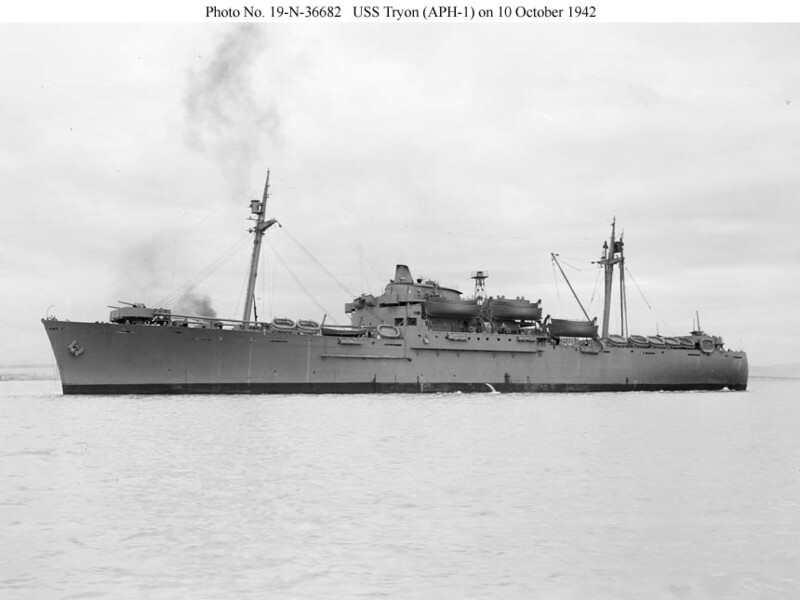 19-N-36682 63k USS Tryon (APH-1) under way in San Francisco Bay, 10 October 1942. Note the characteristic small streamlined, funnel and solarium structure atop her deck house. She is still carrying merchant-type lifeboats rather than landing craft. 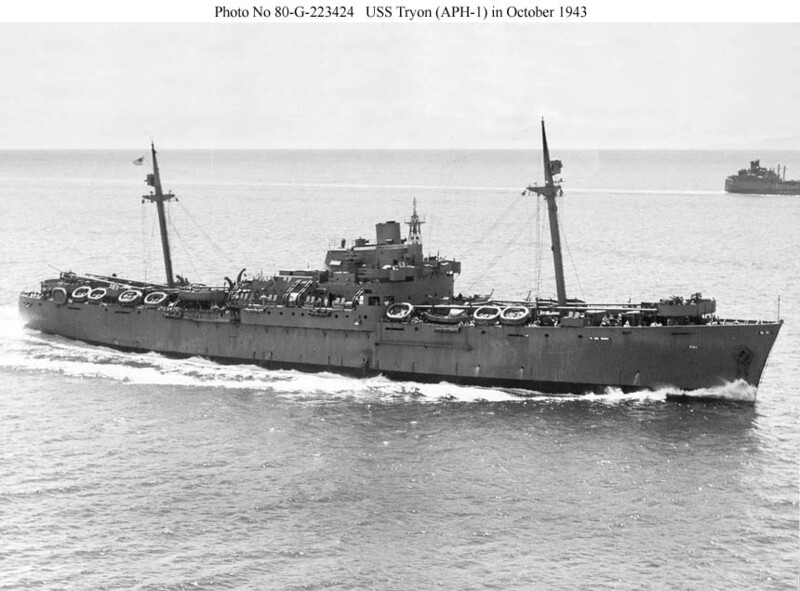 110k USS Tryon (APH-1) under way in October 1943. Her funnel has been reconfigured and enlarged following wind tunnel tests to keep smoke off the after decks. She has also received a radar mast but does not yet have Welin davits. 61k USS Tryon (APH-1) under way, date and location unknown. 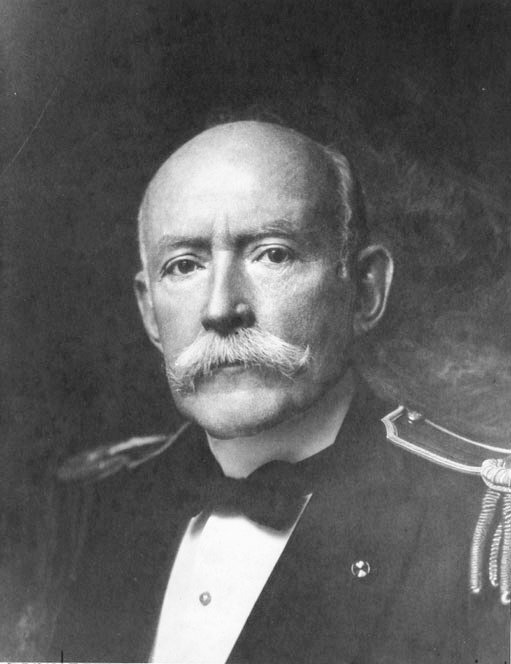 Although used to evacuate wounded from combat zones, the ship did not have the immunity of hospital ships. She was armed with one 5”/38 gun aft, along with four twin and four single 40mm AA mounts. 52k USS Tryon (APH-1) at anchor off San Francisco, date unknown. She still shows the exotic raked lines left over from her liner design. 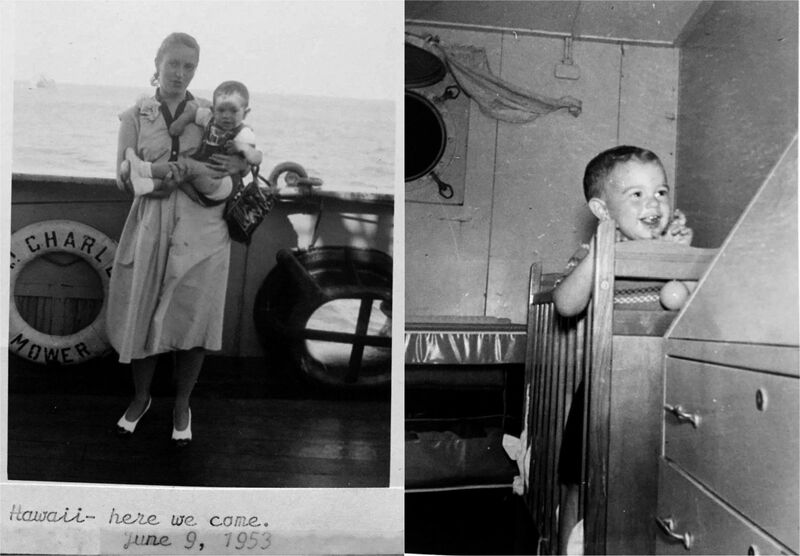 Her small funnel projects from a streamlined structure, also left over form the liner design, used as a solarium. Unlike APAs, she did not carry LCMs. 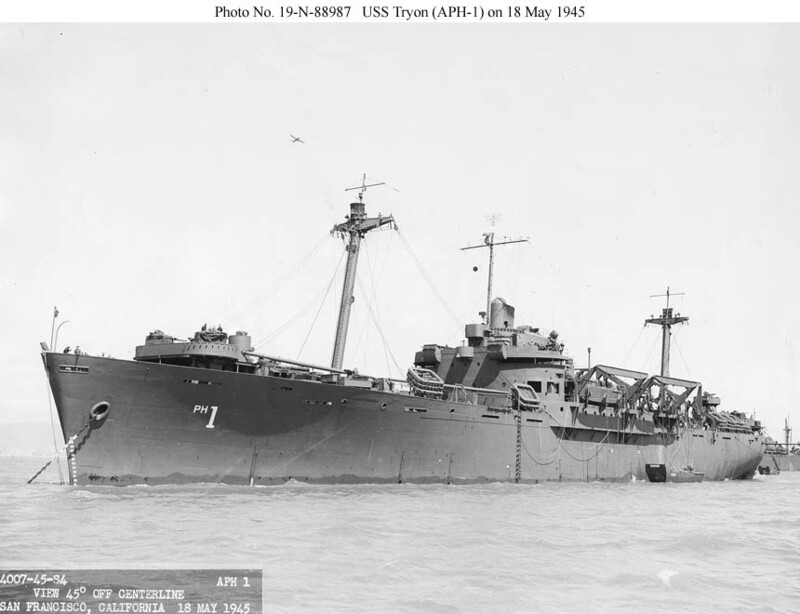 81k USS Tryon (APH-1) at anchor off San Francisco, 18 May 1945, after an overhaul in which she received a new radar mast, Welin davits, and a small cap on her funnel, which evidently was still not satisfactory. 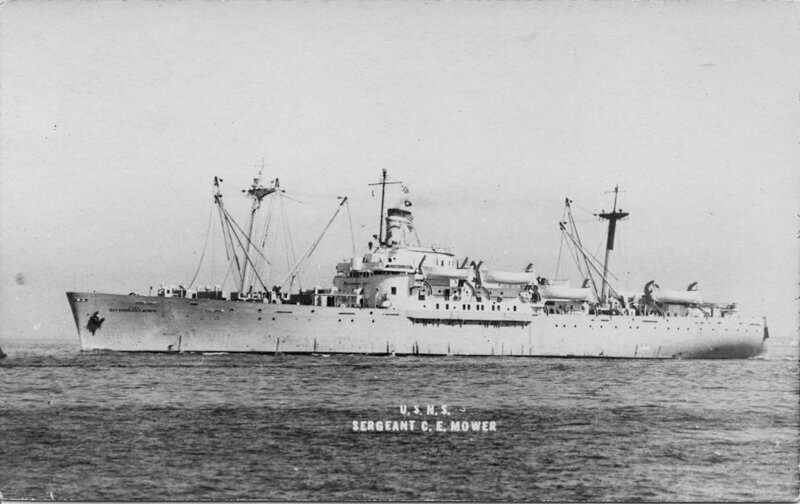 At this time all three ships of this class probably had their tall raked masts shortened above the crosstrees as shown here.